Arja is my best sounding board and has given me and still gives me good advice, but above all courage. The courage to be daring and courage to stand still. Hold on, hold out. Arja's words carry me throughout my life, professionally and privately. It was difficult to find a coach that could meet the needs I had as an upper secondary school director. Finally I got a recommendation to turn to Arja Holmstedt. I was demanding, but all of my expectations were met because Arja has leadership skills and an understanding of the school as a workplace. 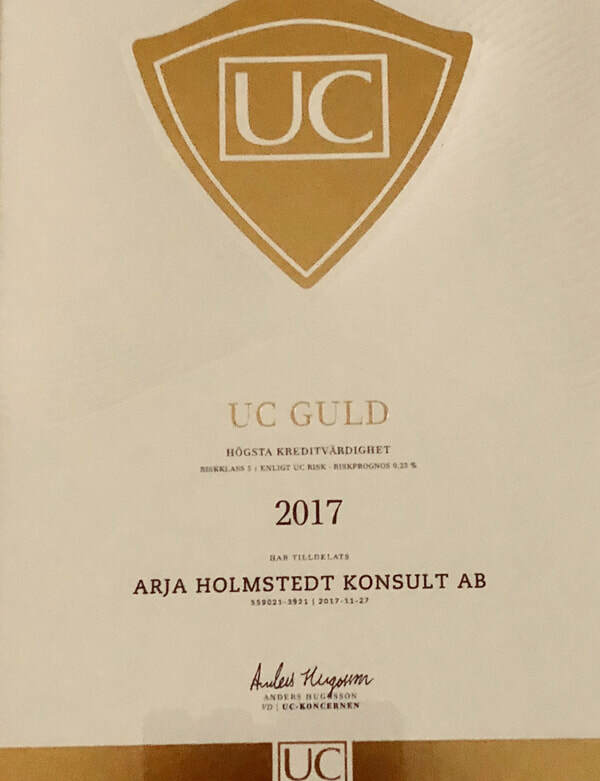 If you are a principal or head of school and want a coach - call Arja! Arja support has been invaluable to me in my work. She has contributed to organizational development and provided feedback on the processes that we have been and are in. With her wisdom, we have been able to sort and prioritize. She has helped me think and helped me to think more wisely. In this way I have moved forward as a leader. Arja Holmstedt-Svensson has, with cordial interaction, effectively prepared, structured, implemented and evaluated the moderation of a program over two days at the conference Future Learning 2016. With expertise, vitality and humor, she has helped to make leadership visible in an era of digital change.